Sat at the summit of the Isthmian Premier League, three points clear of second place and comfortably cushioned by the play-off places, it is safe to say fortunes have turned for Hampton and Richmond Borough. Thanks Alan, for steadying a sinking ship, righting it, and setting it back on course. Thanks for genuinely caring about a little non-league club and its supporters. Thanks for bringing in terrific people. Thanks for beating Sutton. Thanks for beating Sutton again. And again. And again! Thanks for the championship. Thanks for the football we played this season. Thanks for playing Allan Tait at number 8 just so we could sing a rhyming song about him. Thanks for your humility. Most importantly, thanks for ‘getting’ Kingstonian FC. So it was with great optimism that Chairman Steve McPherson made the appointment. Alan Dawson’s non-league record is quite remarkable. At Walton & Hersham he led the team to a record breaking 13 match winning sequence after only 14 games in charge. There were runs in the FA Trophy, a Surrey Senior Cup final appearance for the first time in 31 years and an all-important promotion season out of the Isthmian League Division One South and into the Premier Division. Dawson replicated that success when he left for Kingstonian, leading the K’s to the Ryman League Division One South title in 2009, a Premier Division playoff final in 2010 and a then second place in the Premier Division in the following season. His departure, a result of his “dedication to the job, his obsession with detail and preparation” being too much to bear, according to The Kingston road End’s obituary, is a boon for the K’s, but a significant boost for the Beavers. 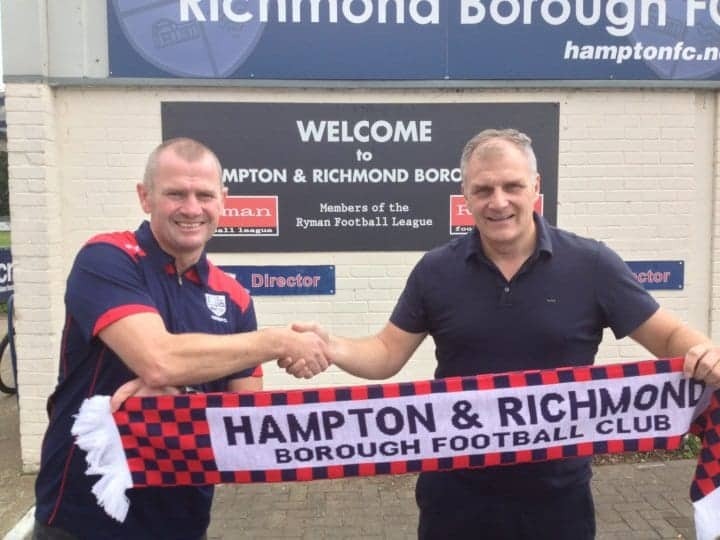 Speaking to Richmond and Twickenham Times, Dawson says “he will not stand still in his attempt to land the Ryman Premier League title.” With 12 wins in the last 17 games and a pedigree for success in the non-league, there will certainly be no debate at our end.